Music is perhaps the most beautiful and interesting thing in the universe. Many people love hearing music while doing their work. Some researchers have found out that learning music can really help you develop some intuition into pattern recognition and can thus result in making you an intelligent person. Anyways, have you ever wanted to create your own music? Most people think that it is hard and it is for sure, but this is the time when some cool Android applications come into picture. I am going to introduce you to some amazing Android applications that can help you create your own music in just a matter of time. You spend some time with these applications and you come up with some really quality music. So, without much of the introduction let's dive straight into the list of applications and their features. AffinityBlue has taken the initiative to develop an Android application that can be used by users ranging from all ages. 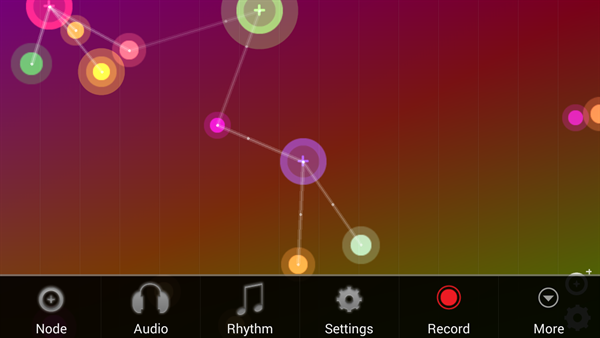 The intuitive visual interface of this application can help you compose the music of your liking without much effort. The music once you have created can be recorded and shared with your friends as well. There are some cool features in this application like adjusting the tempo of your music, Drum and Octave Generators which can be simply dragged from the side pane of the application. Some of the cool features of this application are 20 Musical Scales including Harmonic Minor, Melodic Minor, Chromatic, Pentatonic, Egyptian, Oriental and many more, all 12 key signatures which means that you can create your music in whichever key you want, 7 Octave range which helps you to create music as high or low as you would normally need. Apart from these, there are options to change the Echo, Attack, Decay and Release of the tone that is selected. There are 4 waveforms. If you don't know the basics of music you can still get along with this application by letting it create a random music for you. Or you can just drag in some of the elements in to the middle of the screen and it will sound good. The best thing I like about this is that the visual element of the application is so interesting that I can play music on it for long. Now if you are worried about all the musical terms that you read in the previous application and are just a common person Smule can amuse you with its amazing application called Songify. As the name suggests, it can compose songs for you from the words you just speak to it. It is a really an interesting application. In fact, it is so interesting that it has been downloaded more than 5 million times in the PlayStore. When you open the application all you see is a big circle with a text saying 'tap to record'. Just do what it says and start saying the lyrics of your newly created song. Now press on the same button once again and it will create a song out of your lyrics. Isn't that amazing! I wonder what complicated algorithms they use to do this. But it just feels great. The fun is not over yet. If you don't like the current composition just touch re-songify and choose a song from the list. You have to download most of the songs from the app itself. There are free as well as paid songs. Songify is actually the official app of the Gregory Brothers, creators of AutoTune the News Series on YouTube. It has been featured in The New York Times, USA Today, Forbes, MSNBC and many more. As Appolicious states 'Songify is just the type of app for which smartphones were made'. If you want to get more deep into customizing the smallest details of your music and create it just the way you want it to then 2beat offers Oscilab Pro for you. This doesn't mean that people with no musical background cannot use it. You can experiment with the app and come up with some melodious music. There is also a free version of the application with some limitations. Oscilab is actually a groovebox which means that you can create loops using the step sequencer in the application. Loops mean that once you create a pattern, it plays back again and again. But you can always make changes to your patterns. 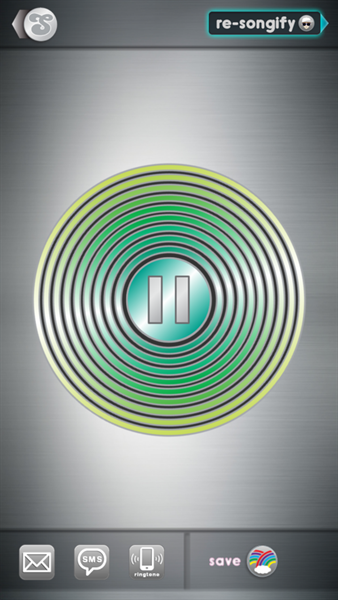 You can change the tempo and many other things of the loop you have created. 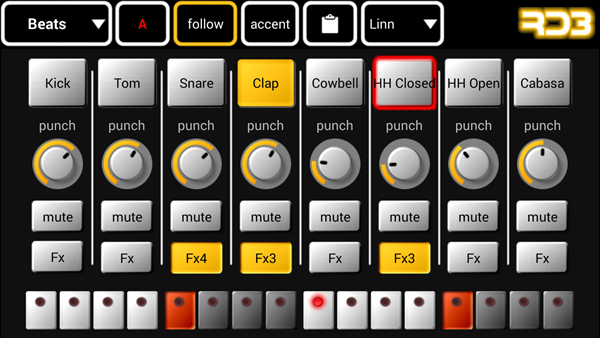 Some of the best features of the app are Drum Machine with 15 high quality drumkits, 36 high quality sampled instruments, 6 Channel mixer with 2 FX channels, 28 wave shapes all of which contain control for frequency, filter, amplitude and pan, Live XY pads: 6 pads to customize the frequency and cutoff of the generated patterns in real time. One of the best things that I like about this app is its low latency which means that you get the result within no time. Latency in music should be really low so that you can sync better with the music. RD3 from mikrosonic is an application to create your own grooves and drum loops. This application is mostly focused on creating drum loops. 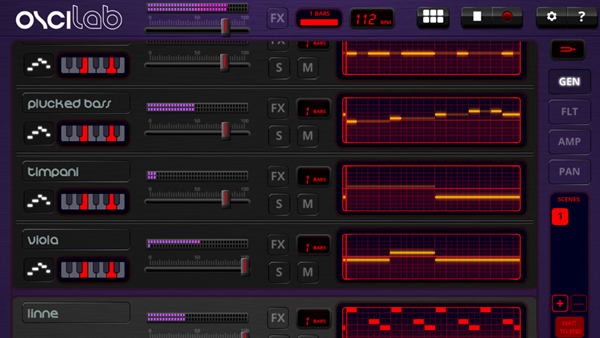 There are countless possibilities in this application 10 drumkits, Channel mute, Real-time step sequencer. Audio effects like reverb, distortion, filter, phaser and delay make this application even more advanced. Using this application you can create some amazing drum loops and export them as an audio file or share them via Soundcloud. If you are a drums lover you should definitely check this out. EasyBand Studio is kind of like an app containing most of the features described in the applications above. This application developed by NomadicWhales.com helps you create some accompaniment for musicians. If you are a band leader and suppose an idea just clicked in, you can't call all the other members of the band immediately. 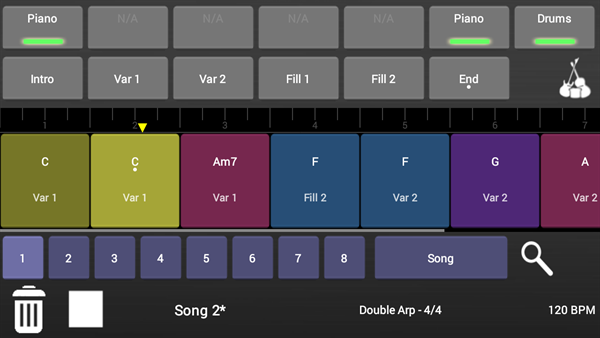 In such situations, you can spend some time with this amazing application and drag in the chord progression of your song and add fills, variations, intros and endings to your song. You can do more tweaking, in fact, you can choose a whole different band from the list in the application and make the whole thing sound completely different. You can export your music both as MIDI or WAV. Exporting to MIDI can give your more flexibility if you want to import the music into a different software and do some changes to the music. It is a really powerful application. It has many other features which are out of the scope of this article. So, you can explore them by installing them on your phone. Creating music is an extremely interesting thing. These apps described above can help you do it in a fun way and that too without spending much time. So, if you are a musician or at least, interested in music, you definitely need to check these applications out. There are many other applications out there as well. So, if you find any interesting applications about music don't hesitate to comment it under this article. Happy musical life.